Tweed is a solid, investment texture that has long been associated with heritage brands like Chanel and Burberry. This season, however, tweed was given a modern update at the Miu Miu runway, with Miuccia Prada’s models walking down the runway in an array of colourful tweed coats. Maintaining a traditional cut straight from the sixties, the coats captured the irreverence and fun of the Miu Miu girl thanks to their popping hues. 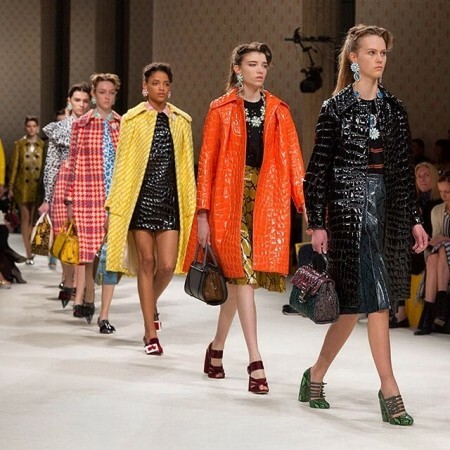 Additionally, Prada threw some python skin, leopard print and giraffe print coats into the mixture, which, again, come in an array of colours like blue, green, orange and yellow so that no look appeared the same. Decorous and charming, these coats would make great additions to our own wardrobes. Every girl deserves a stunning party dress no matter the time of year and where better to look than at Balmain? It’s very rare that designer clothing enters into the realm of the high street but recently Olivier Rousteing, collaborated with the high-street giant H&M. There was only one slight problem: hands up anyone else who was confronted by a blank screen when they tried to log onto H&M’s website to sample some of the clothing? We all clambered for the haute-high street collection but, alas, the fashion gods were not smiling kindly down on us and it sold out in a matter of minutes. 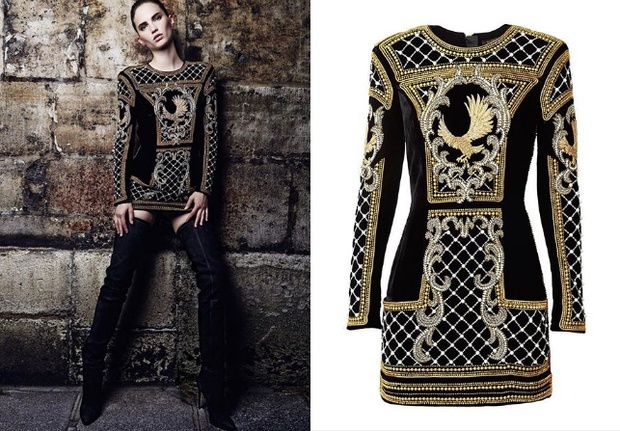 If we could be granted a wish, we would love this opulent, baroque minidress. This statement dress features intricate brocade embellishments and a rich colour palate of black, white and gold. Luxurious and gorgeous, we wouldn’t need another dress for at least a year! This season, Raf Simons produced a prim and preppy collection of shirts and kilts that featured plenty of contemporary twists. One of his centrepieces, however, were his second-skin boots: boots with Perspex heels and a texture so figure hugging and shiny that they looked as though they had been lacquered onto the models legs especially. With slick patent patches swirling into contrast matte leather, the boots are weird and wonderful, perfectly offsetting the pretty clothing worn elsewhere on the models (shop similar styles at maryjanefashion.com). We’d wear the boots for any occasion: to make a statement at work, for days out with friends or when dressed to the nines at wintry soirees.